Optim LLC, a designer and manufacturer of flexible fiberscopes, videoscopes and related products, announced its FreedomView LED Videoscope has received certification from Underwriters Laboratories (UL), the leading authority on product safety, for use in Class I, Division 2 Hazardous Locations. FreedomView LED Videoscope complies with UL standards and requirements for nonincendive electrical equipment. 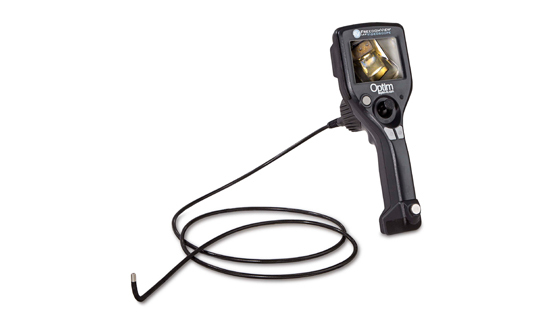 The Optim Freedomview Videoscope has UL Class I, Div 2 Hazardous Location certification. All other videoscopes in the market claiming to be fuel compatible have this same certification. In addition, Optim performed our own internal fuel compatibility testing since this UL certification does not explicitly certify for direct contact with fuels. Our Freedomview Videoscope passed these internal tests for direct, safe use in fuel tanks. No videoscope available in the market today has a more advanced fuel compatibility certification than the Optim Freedomview Videoscope. This can be verified by examining the UL certification that must appear on the manufacturer’s product label. We confidently stand behind our product’s ability to work directly with fuel because of our additional internal testing. The FV Videoscope allows law enforcement agencies to safely perform visual inspections of vehicles and other areas where contraband may be hidden. The FV Videoscope’s durable and intuitive construction is made for real world conditions with a rugged tungsten shaft, transflective touchscreen display and easy to use control functions. “Optim is very confident the FreedomView Videoscope will build upon the outstanding reputation our FreedomView fiberscope has earned over the years with security personnel around the world. The FV Videoscope is the only videoscope to offer this prestigious UL hazardous certification at such an affordable cost” says Paul Joyce, President and CEO of Optim. o Lightweight, completely portable design-approximately 2 pounds! For more information, visit www.optim-llc.com.